Ultrabook-info.de, a site I’m often in communication with, has just published an interview with Intel’s PR manager for the German region. There’s a lot of typical PR commentary in it but reading between the lines, a few things bubbling under…. Comments on connected standby for the next generation of Core (Haswell) has me thinking of ‘always on, always connected’ and GRP chassis that will be available next year. There’s also confirmation about the confusing element of security. All Ultrabooks based on 3rd Generation Intel platforms (Ivy Bridge) will support Intel Identity Protection Technology and Intel Anti-Theft Technology. Check out the full interview here and, if you’re a German reader, don’t forget to bookmark the site. So far we’ve seen 5 official Ultrabook launches but there are obviously big names missing. Dell, MSI, HP, LG and more. It’s possible though that Ultrabooks will launch from these manufacturers soon because Intel expects 9 or more devices to launch across the world by the end of the year. This video, made at IDF today, reveals the information. Unfortunately there were no new Ultrabook products on the Ultrabook booth today although we may see something ib the technology showcase later today. Stay tuned for our reports from that after about 6pm local time here in San Francisco. We did see some Ivy Bridge based devices but all of them were ODM samples or prototypes. A video of those will follow-up on Ultrabooknews. As the days go by, the topic of application stores on non-smartphones becomes hotter and hotter, more and more critical. Google won’t release their Market without a license and the developers often don’t see any reason to distribute outside the Market channel. It leaves the non-smartphone tablets missing an important part of the Android product. 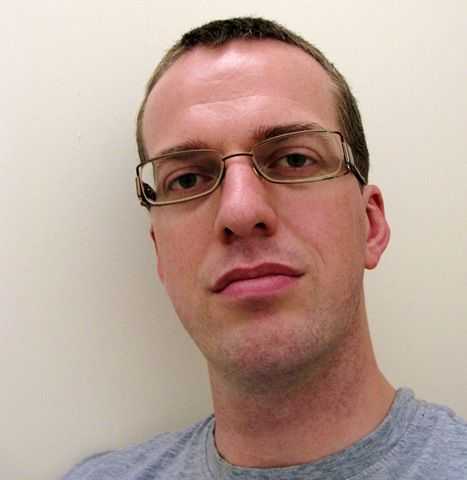 Al Sutton (Twitter, Blog) is founder of Funky Android, the company that produces the AndApp Store which is a no-license framework for the distribution and payment of applications to Android powered devices. Its one of a number of 3rd party stores out there and often finds its place on the lower-cost tablets. The recent Augen tablet Market slip-up highlights how closely-guarded the Market is. We spoke to Al to find out how the state of play looks from his angle. He has some interesting thoughts too. There are many countries not served by Google Market. It may not be worth Google Market moving into the tablet space because of Chrome and better opportunities in the browser. Google 3.0 may be Google TV focused. Full interview below. Thanks Al. Firstly, tell us why you started an alternative applications store for Android? AndAppStore was launched before the T-Mobile G1 because Google hadn’t provided public information on how developers could distribute their apps via Market. We wanted to provide a service which developers could use to distribute their apps to users as soon as the G1 was launched. As Market opened up to submissions we moved towards serving groups who hadn’t reached an agreement with Google to license the Google Android application suite (including Market). These groups ranged from OEMs through to small informal groups porting Android to various devices, and we continue to support all of those groups today by offering a royalty and contract free client which they can freely redistribute without asking us. The situation with paid applications has also provided us with an opportunity to serve the Android community. We direct users to PayPal for application payments and the payments go directly from the user to the developer meaning the developer gets all of the revenue from their sales. This means we can list pay-for applications from many more countries than Market currently does, and makes it more profitable for the developer, which makes it a win-win situation for all concerned. We know this is popular because we have several developers who are in countries not served by Market, some of whom are making a few thousand dollars a month, and when you reach that level of sales the difference between a market which takes nothing and a market which takes 30% runs into hundreds of dollars. In short; AndAppStore was set up to serve developers needs and there are still things that it can provide to developers which makes them want to list their apps. So your main customers would be users of devices without Google Market then? What other key types of user do you see? 1) Users on devices without Market. 2) Users who want access to paid applications from developers outside the areas Google serves. The largest group is the first one, but over 35% of downloads via AndAppStore go to devices which ship with Market installed, so we know that the second group is also important. We we’re initially surprised at the size of the second group, but we can see it goes to show that there is a lot of demand for paid applications from developers in countries Google isn’t currently serving. Across those two areas we see a fairly wide range of users in both geographically and in terms of the devices they’re using. We, like Google, publish platform stats ( ours are at http://stats.andappstore.com/platform-versions.html ), this helps developers to see what the world is like beyond Market if they want to support it. The low-cost tablet, smartpad and smartbook space is obviously an opportunity but will Google step in soon? I’m not sure it’s worth Google stepping into that segment, and even if they did I’m not sure all OEMs will want to carry the cost of complying with Googles requirements and would agree to Markets revenue sharing system. We’ve worked with some OEMs who were looking to include Market and the impression has been it’s a long process which can throw up a few unexpected hurdles. If you compare that to AndAppStore where the OEM can go to our site, download the client, put it in their firmware, or, as Augen did, make it available via their support site, you can see it’s a much cheaper prospect for the OEM and the turnaround is much shorter, with some OEMs going from having nothing to offering over 1,000 apps the their user via the AndAppStore client in only a few hours. It’s well know that Google will have to loosen the requirements somewhat to support Google TV. The most recent public compatibility requirements I’ve seen (version 2.1) requires things that just don’t make sense in the context of a TV such as; dynamic screen orientation (would you turn your 42" plasma on it’s side just because the Facebook app only supports portrait mode for it’s home screen? ), 2MP+ camera, 3 axis accelerometer, 3 axis compass, GPS. So when these requirements dropped things may become easier for OEMs, but there are still the legal requirements and agreements which are rarely cheap or quick to go through. Google appears to be keeping tight control on Market. What exactly is stopping them licensing to non-smartphone devices? There’s no doubt Android has generated a lot of PR for them, but Chrome OS drives users to where Google is most at home, and makes a huge amount of money, and that’s the web. With Android it’s possible for Google to support a user and see no revenue for it because the Google apps on Android don’t carry apps ads (at the moment). Whereas with Chrome OS users are driven to Googles webapps with all the advertising they have, and thus Google at least has an opportunity to make money from that. It’s a similar situation with Google TV. Although Market is mentioned (briefly) in the Google TV promo video there’s no mention of a native GMail app or anything similar, it’s all focused on the browser where they can generate more revenue from users. Do you think Android 3.0, a tablet-focused version of Android and Market will really happen? Will productive apps start coming through? Will devs re-work their apps for bigger screens? 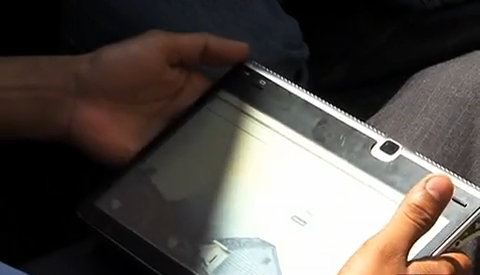 I think 3.0 will be Google TV focused, and that will help tablets, but I don’t think it will be purely tablet focused. A lot of the problems Google have to overcome to support Google TV (such as a wider range of screen sizes and hardware with less functionality than a smartphone) are the same types of problems Android faces before it can be deployed on cheaper tablets. My belief is that any tablet specific functionality will come as a by-product of other work. Given Googles relationship with HTC I would have thought we would have seen an HTC Android tablet announcement if tablets were a big focus of development, but, instead, we’re seeing details of an HTC Chrome OS tablet, which I think says a lot. 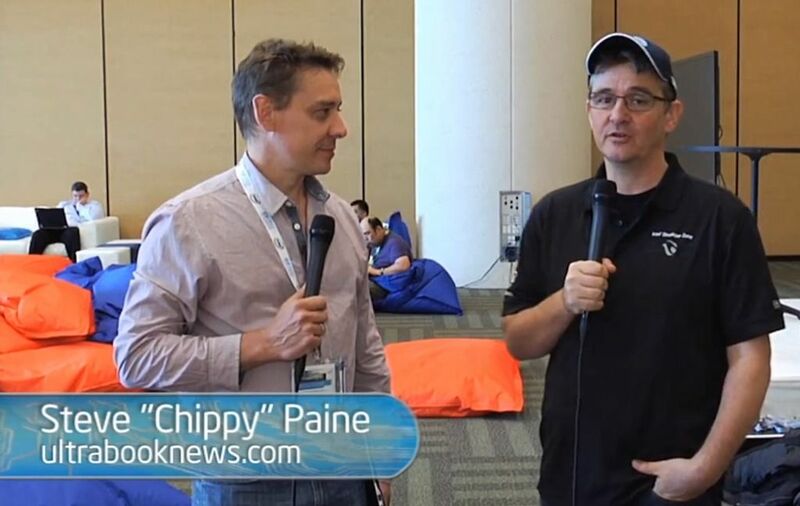 What does AndApp bring to developers that Google Market doesn’t? The main advantages are access to the users on devices you can’t reach via Market and the ability to list paid applications if you live in one of the 100+ countries PayPal supports. We’re well aware that developers focus on Market, and we’re not trying to get in the way of that, but for the couple of minutes it takes to list a release at AndAppStore developers could find themselves getting downloads from users who, if the developer only listed on Market, may have only had access to the app via a pirating site. We try to make it as easy as possible to list applications on AndAppStore because we understand it’s not the main focus for many developers. At the moment we’re looking at introducing an API so developers can just submit their APK and AndAppStore takes care of everything else, and if developers have any other ideas for what they want to see they’re free to discuss them on our Google Group (http://groups.google.com/group/andappstore-discussion). Here’s an idea. Why don’t all the 3rd-party stores get together under an ‘appstore foundation’ and get some common processes and payment systems worked out. Surely it makes sense to work together in an open way while Google remains closed? We tried to float this idea about a year ago and it got nowhere ( you can see the thread at http://bit.ly/czQyvL ). With app stores currently being measured by the number of apps they have there is very little incentive for any app store to hand over parts of it’s catalogue to a competitor, which is a big problem for developers, because it discourages app stores helping each other to increase their catalogues. There is also a lot of competition in the app store sector, so every unique application and feature an app store offers is one small step forward from the crowd, which tends to make app store operators very protective, and some even start using the catalogues of others without permission just to boost their application count as highlighted by Tim Strazzere in his blog post at http://strazzere.com/blog/?p=316 . Google is a big problem though if we want to get something off the ground, and we saw a demonstration of how Google views 3rd party app stores with their recent licensing solution. In early 2009 we developed a licensing solution with an API which allows the generation of licenses from other sites. We then offered it to Google in March 2009 as the basis for a cross-market solution, and they said no thanks, so we were pretty surprised when they recently release release their new licensing system (over a year later) which is almost identical to what we offered them in 2009 except for the LVL library and that the solution can now only be used by applications sold via Market on devices where Market is installed. What are the future plans for AndApp? Simple; to keep serving OEMs, Developers, and users for as long as they want us to. 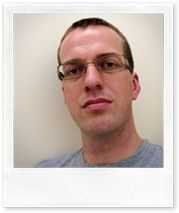 You can catch Al Sutton speaking at DroidCon on the 29th October. Update: Notion Ink Adam specifications and links are now in the database. A video published last week by the Times of India has Notion Ink co-founder Rohan Shravan showing off what is being called a â€œfinal inch version of the ever intriguing Adam tablet. The video has some nice close-ups of the unit, but it still doesn’t seem like the production version (and I hope not as part of the screen bezel comes off mid-interview), though Rohan says that it is final in terms of â€œlook and feel inch and that the device should launch first in the US in June. He also claims that the device will last for more than 10 hours doing 1080p video output. I’ll still have to see it for myself before I believe it, but I sure hope that the Nvidia Tegra 2 hardware is capable of backing that claim. Still no word on pricing. There is also an interesting interview with both Notion Ink co-founders if you care to have a look. Notion Ink Adam specifications and links. 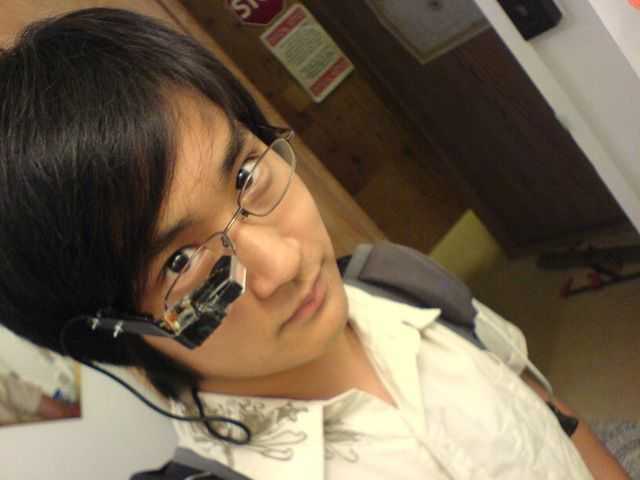 The interwebs were set ablaze by our earlier article showing you an awesome wearable computer setup powered by a Sony VAIO UX380N UMPC. Now we’re back with more from the creator himself. I sat down (virtually) with fiveseven808 and asked him som questions about his wearable computing setup and what he might hope to do with it in the future. UMPCP – Q: What modifications needed to be made to the MyVu Crystal head mounted display? Fiveseven808 – A: Removal of the displays from the original MyVu display unit, removal of the second display from the MyVu connector, and I had to find and build a suitable frame/mount for the display used and then splice together four conductor cables with a pulldown resistor to make something so that the UX will auto detect and interface properly with the MyVu display controller. UMPCP – Q: What would you estimate the cost of the project to be, excluding the price of the VAIO UX380. Fiveseven808 – A: Mmm… cellphone = $30+$10/mo, USB cable = free from an old portable HDD, external battery = $120 (but a battery of twice the capacity can be built for less than half), HMD [head mounted display] = $150 (from craigslist) and then whatever input device you want to use, I guess. I have so many input devices and no real standard one for my wearable computer yet, I’d rather not try and force it into the costs… pretty much everyone has a Bluetooth and java enabled cell phone that can be used as an input device though. UMPCP – Q: Ok, so a cell phone was used as the input device? Fiveseven808 – A: It was/is my main input device as I walk around as I don’t like the responsiveness or look of the Frogpad, and I use my BT keyboard and mouse when I’m sitting down as I can input stuff faster. An application for a phone with a physical qwerty keyboard and touchscreen like the G1 would easily serve as both and quite effectively too if I may add. I don’t have a G1 nor the programming experience to make it happen though, and I figure if you’re already holding a device, why not use the computing power in that device itself? That’s why I moved to my glove input idea. UMPCP – Q: Could you only input text, or were you able to use the mouse as well? Fiveseven808 – A: I was able to use both, but I was using my old Nokia and controlling the mouse with it was not the easiest thing in the world. Doable, but not worth it for long term use. UMPCP – Q: How did you use the phone to interact with the mouse, exactly? Fiveseven808 – A: The four-way d-pad on my phone was used to control mouse movements. Soft keys were used to control mouse clicks. I think the asterisk key allowed general text entry (written on the phone then sent as a string to the computer so predictive text could be used). UMPCP – Q: That is all done with Bluetooth? Fiveseven808 – A: Yep, all done with Bluetooth. Through use of my system, I found that ANY wires at all, is a pain, and makes the system less useful. Display is an exception since I cant find/make a receiver small enough to fit inside the glasses or around neck. UMPCP – Q: So the entire system fits inside of a backpack? Fiveseven808 – A: Yep! Fit inside a medium purse sized bag as well. Quite small really. That backpack I showed is about half the size of a regular backpack as it’s a biking pack. Everything fit in there quite nicely with room to spare for other stuff. UMPCP – Q: How long could the system run with the extra juice from the external battery? Fiveseven808 – A: Theoretically it could run everything for an average of eight hours, but in reality it was more like 6-7 hours, and with my UX suffocating inside without much ventilation, the figure went down to 4-5 [due to constant fan use]. $60 more would’ve bought me the parts to run the UX an extra 10-15 hours. UMPCP – Q: How does the display look when you have it right up to your eye, or in your case, against your glasses? UMPCP – Q: So it’s basically like looking at the UX’s screen on a desk? Fiveseven808 – A: MyVu claims something spectacular like 60 inches at 20 feet, but in reality the optics only focus the display about a foot and a half away from your face, and the size is only like 5 inches at that distance. It’s an experience on its own, it’s hard to compare it to something really. UMPCP – Q: What resolution does the MyVu HMD provide? UMPCP – Q: Wow, that low? Fiveseven808 – A: That’s actually extremely high resolution for only costing $300. Before MyVu came out with their displays, a monocular VGA HMD (from what the company used to be) could easily run you $2.3K. Usually wearable computing enthusiasts use command line based operating systems as most “affordable”(and I use the term lightly) HMDs don’t have the resolution or quality to display proper GUIs. UMPCP – Q: So what were you able to use your setup for? Fiveseven808 – A: Haha, Facebook/Myspace, email, instant messages, scanning for access points. Not much really. I only had my system for about a week or two before it finally died. I’ve been trying to get a viable wearable computing system for almost 10 years now and this was the first time not much went wrong… at least until my UX died. UMPCP – Q: You have WWAN connectivity for $10/month? Fiveseven808 – A: The first thing I mentioned when I was naming off prices was a cell phone for $30 plus $3/month fee (corrected). 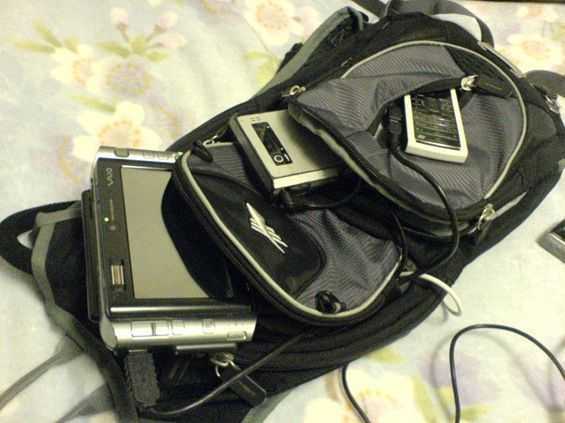 I’m using a tethered iDEN phone off of the Boostmobile/Nextel network. Technically it’s kind of like an exploit; the phone is prepaid, accessing the iden packet network does not deduct anything from your account. iDEN phones also allow for tethering. The $3 a month is only because you have to keep your account topped off every three months (min $10 refill). So technically, internet is free (if you don’t count the money you’re required to deposit in your “prepaid account” to keep your account “active”). It’s half the speed of dialup though! But works literally anywhere you get cell reception, so I think its well worth it lol. UMPCP – Q: Would you call your wearable computer practical, experimental, or somewhere in between? Fiveseven808 – A: Somewhere in between. The platform is about 80% complete, but the usability is like 20% since there’s no real application for it (I dont have one yet at least lol). I say it’s more of an experiment until I pour more money to get it working again, and find out what works and what doesn’t. I’d love to see a “real” wearable computer that’s marketable to the general public, but with the boom of smartphones, I doubt it’ll ever come to fruitition until someone does the research to find out what works, what people want, and what they’re willing to put up with (size/weight/performance/price) etc. I figure my project is the research point for all of that. UMPCP – Q: Let’s say programming knowledge and bandwidth wasn’t an issue. How could you see yourself using the setup in terms of augmented reality? Fiveseven808 – A: As of now there’s no infrastructure set up to accomodate augmented reality. There’s quite an interesting ‘windowing” system out there that uses flat surfaces like windows/billboards/signs and what not as “screens” to be used with an eyetap like device to display relevant information, but as of now, HMD’s don’t have the resolution for that kind of application. In a place like Japan where QR codes and other 2D barcode are the norm, something like that augmented reality windowing system coupled with them, could provide instant ads anywhere also coupled with the relevance of the invidivual viewing them. In any situation that requires you to refer to a manual, set of instructions, or some kind of reference material, having the material always on display in front of you as you work is also quite invaluable. There’s quite literally an ‘infite” amount of applications for wearable computers; there just isn’t a balance point of price/performance/comfort ratio that people are willing to put up with, at least not yet. UMPCP – Q: Do you think, in your lifetime, we’ll see some sort of widespread wearable computer (which may or may not be similar to the setup you are using now)? Fiveseven808 – A: I’d like to think so, but at the current pace of wearable computers and the speed in which things like netbooks and smart phones are taking off, probably not. I’m studying electrical engineering, and while my specialty is more towards robotics than other specialities that would help wearable computing, I will certainly do my part to advance the field! I’m happy to report that at this point, fiveseven808 has fixed his Sony VAIO UX ultra mobile PC by baking it in an oven and reflowing the solder, apparently fixing the issue. He’s currently working on an improved mount for the HMD. We’ll keep an eye on this sweet setup and let you know of any cool developments. Where else would two English people at The Next Web Conference bump into each other but the tea-making facilities! Sarah Blow and I had a quick chat while we made our ‘cuppa’s’ and quickly determined that we were both mobile tech fans. I found out later that Sarah is the founder of Girl Geek Dinners, a very successful global community of like-minded women that regularly meet for presentations and discussions on different technology subjects. She’s also the community manager for Fav.or.it, the company that runs the useful TweetMeme service. After a few stalk-tweets, we had arranged a meet-up to talk about the latest UMPCs and MIDs. Here’s a video that I took. Part 1 shows the UMPCs and in Part 2, Sarah talks about Girk Geek Dinners. You’ll find the inverse video (Sarah interviews me) on Sarahs tech blog, GirlyGeekdom.com. Part 2 â€“ Sarah talks about GirlGeekDinners. Scoble and Sascha talk Netbooks. A great great video from our podcasting partner Sascha, from netbooknews.de who’s just been interviewed by Robert Scoble.